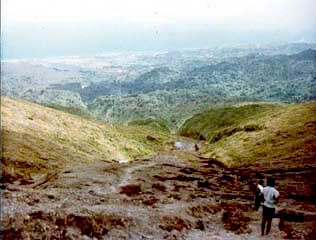 During my school days in the sixties, there was no dome in the middle - just a blue lake with stories about how deep it was and speculation about an underground passage all the way to ST.Lucia - maybe to Montserrat also. This was the location for many a picnic. 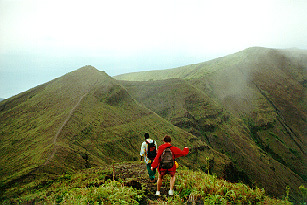 Soufriere: This is just the beginning of what you will see here but be patient. If you have 'soufriere' pics I would appreciate receiving them. 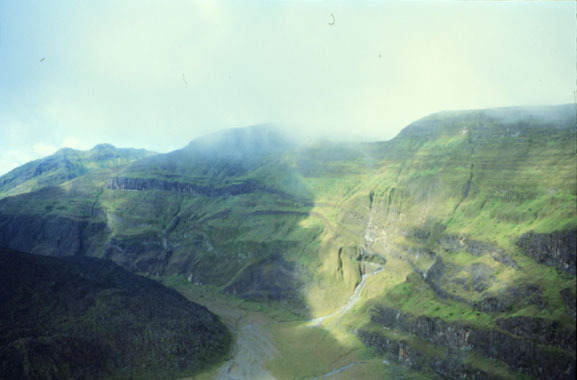 Fiske, R.S., and Sigurdsson, H., 1982, Soufriere volcano, St. Vincent: Observations of its 1979 eruption from the ground, aircraft, and satellites: Science, v.
evolution, and hazards: Washington, D.C., National Academy Press, p.
Shepard, J.B., Aspinall, W.P., Rowley, K.C., and others, 1979, The eruption of Soufriere volcano, St. Vincent, April-June, 1979: Nature, v. 282, p. 24-28. Geothermal Research, v. 13, p. 119-130. 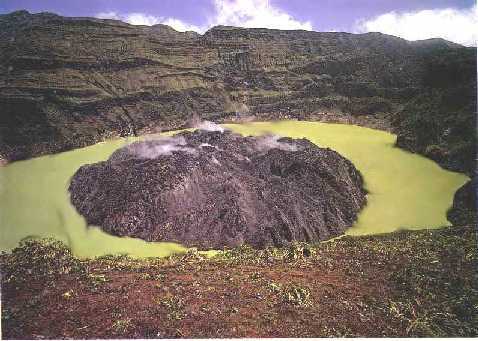 LA SOUFRIERE ERUPTION 13TH APRIL 1979 - Prepared by the Government Information Service (St.Vincent). 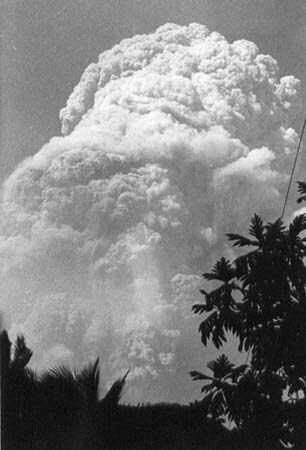 It is the 1979 Soufriere eruption. The ash was carried 90 miles away to Barbados and perhaps even further. A year later, farmers in St.Vincent were recording giant growth in their crops especially the height of corn plants. Thanks to Roger Newton who supplied these pictures.. 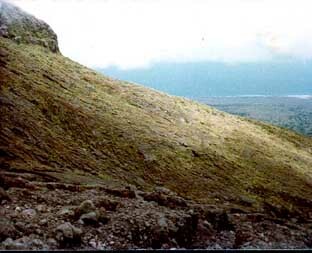 The one on the left (Above) was taken with the volcnic crater to the back of the photographer looking towards Georgetown. 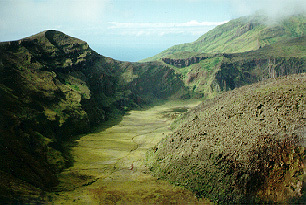 You can see the winding track that one would have taken from Georgetown to get to the lip of the crater.